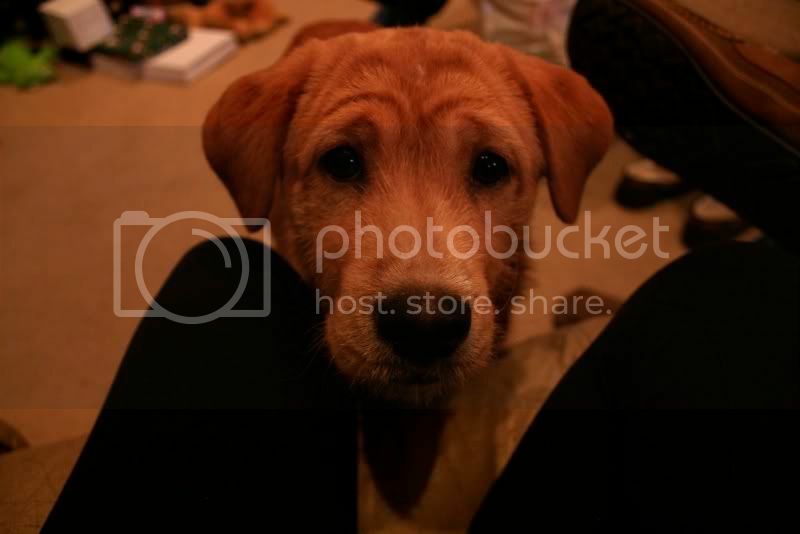 the ever so lovely puppy my family adopted, on Christmas. I do love cider though. heat 1 cinnamon stick with spiced cider or apple juice and spiced rum. add 1 shot spiced rum for every 8oz of juice. That dog is so adorable. mmhm thanks I think so too.